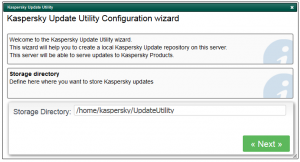 Artica is able to centralize Kaspersky updates trough Kaspersky Update Utility. 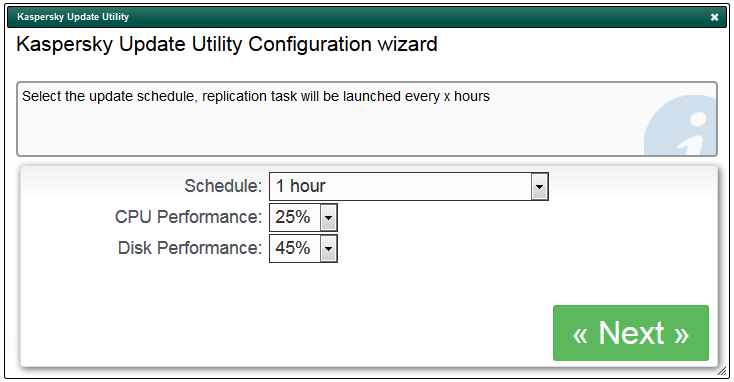 This feature allows you to create a local repository for Kaspersky Antivirus softwares. When Artica act as proxy it can hook requests and force Kaspersky products to use the local repository instead retreiving updates trough Internet. 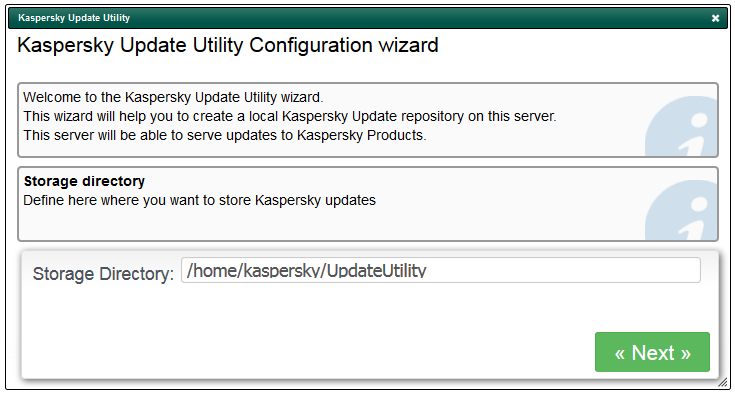 This to ensure that no Kaspersky Products use the bandwidth for updates. A screen display to you the install progress. Artica will create a web service in order to provides updates. This require that this hostname must be saved in your DNS and must point to the ip address of the proxy. Set the schedule in order to download updates trough Internet periodically. The utility should take CPU performance. You can limit the update process in percent of CPU and I/O. 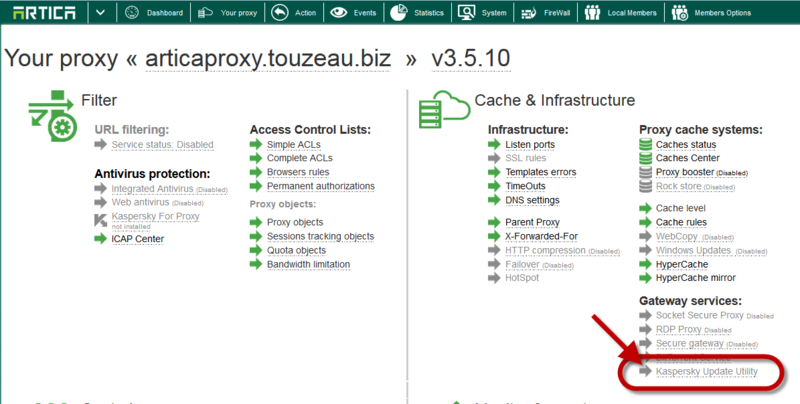 If you want to redirect all Kaspersky product requests to Internet, you can force the proxy to perform this operation. In turned to ON, then the proxy will redirect all requests to kaspersky Internet sites to the local repository without needs to modify Kaspersky products settings. Wait during the installation task. After the installation, click on the update button in order to run the first update. ← How to disable the local LDAP server ?